Look for our new “Full Moon Decaf” officially released today. This newly named coffee will replace our Decaf Peruvian. It is the lighter roast of the two water processed decaf coffees that we offer. Our darker roast, Decaf Honduras, will soon be replaced by “New Moon Decaf”. The new names are to help you remember the colour of the roasts: It’s lighter out on a full moon night than it is on a new moon night. Get it? And, when the moon is out and you feel like a cuppa joe, decaf coffee is a good choice. 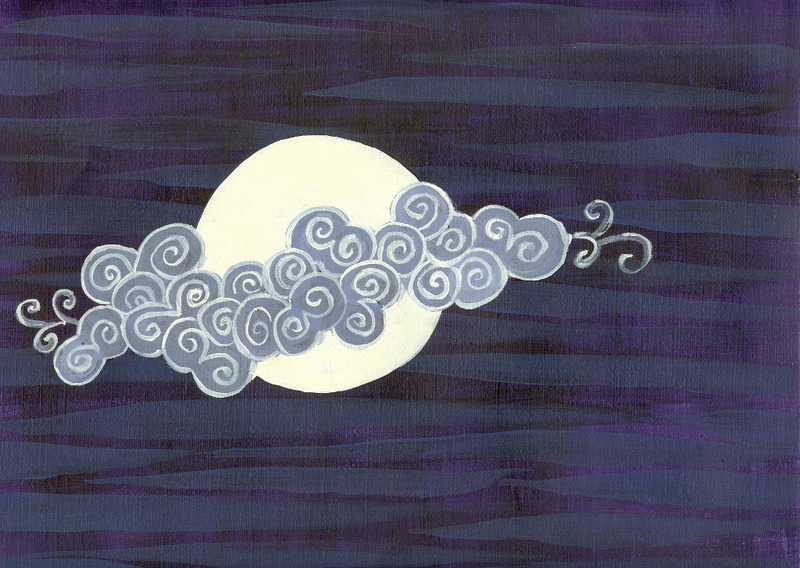 Here’s the Full Moon painting that will adorn the new label. Stay tuned for the New Moon . . . It`s a work-in-progress! Acrylic painting by Heather Hoffmann.